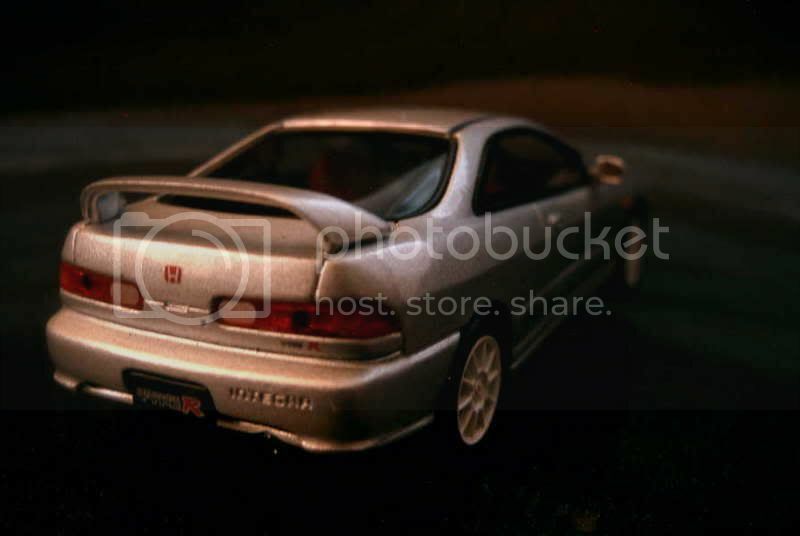 With the Integra freshly removed from Honda’s range, it is time to wonder what will be remembered of this car. For most, the Integra was a sporty coupe but, squeezed between the Civic and the Accord, it actually enjoyed a full line-up for most of its existence, which spanned three decades. True enough, the well-known three-door hatchback was the first to be introduced in February 1985, and also the very last to disappear, but from October 1985 it also existed as a five-door hatchback and, starting in October 1986, as a plain four-door saloon. The existence of this latter model was justified by the simultaneous introduction of the Integra, rebadged as an Acura, on the North American market. On the technical side, the Integra was a standard mid-range car of the era, powered by a 1.6-litre four driving the front wheels. The car’s boldest feature was its pop-up headlights, which were for a short while a trademark of all Honda vehicles. The first-generation Integra sold well enough, particularly in America, to substantiate the continuation of the nameplate when, in April 1989, its replacement was introduced. Once again, the three-door hatchback appeared first, closely followed by the four-door saloon in May. The five-door was discontinued at this point. With the disappearance of the pop-up lights, the new Integra looked rather plain, but developed a sporty image thanks to its potent engines – a 160 hp now topped Honda’s offer. Following a now well-known scenario, the third-generation Integra coupe was introduced in May 1993, while the four-door saloon had to wait until July. Japanese buyers were somewhat disturbed by the car’s look, and most particularly by its four small, round headlights. A rapid facelift (September 1995) solved the problem by giving the Integra a very classical front end, while on export markets, the car remained unchanged as its design hadn’t brought the same controversy as on its home market. Yet more performance was offered by the third-generation, which proposed several engines up to a 180hp, 1.8-litre four when introduced, and a real-time four-wheel-drive transmission. The model that would put the Integra name on the automotive map finally appeared in August 1995: this was the Type R, usually sold as a coupe, though a saloon was also available, powered by a specially-tuned fuel-injected 1.6-litre engine. Equipments such as stiffer suspensions, more efficient brakes, a close-ratio five-speed gearbox and Recaro seats of the Type R unmistakeably gave a very different character to the Integra. The muscular image thus gained by the Integra after the Type R was released probably played a lot when the fourth-generation of the car was introduced in July 2001: in the midst of a range rationalization, Honda dropped the saloon and concentrated on the sole coupe, which was also an indirect replacement for the departed Prelude. By replacing two coupes by a single model, Honda had also taken notes of the progressive decline of the coupe market, a trend which in turn played against the Integra. Despite its new 6-speed manual gearbox and a standard 160 hp, 2.0-litre four which was boosted to 220 hp in Type R guise, the Integra didn’t generate sales high enough to justify its continuation and, in mid-2006, the last Integras retired, their place in Honda’s range being taken by the more-modest-yet-cheaper performance versions of the Civic. 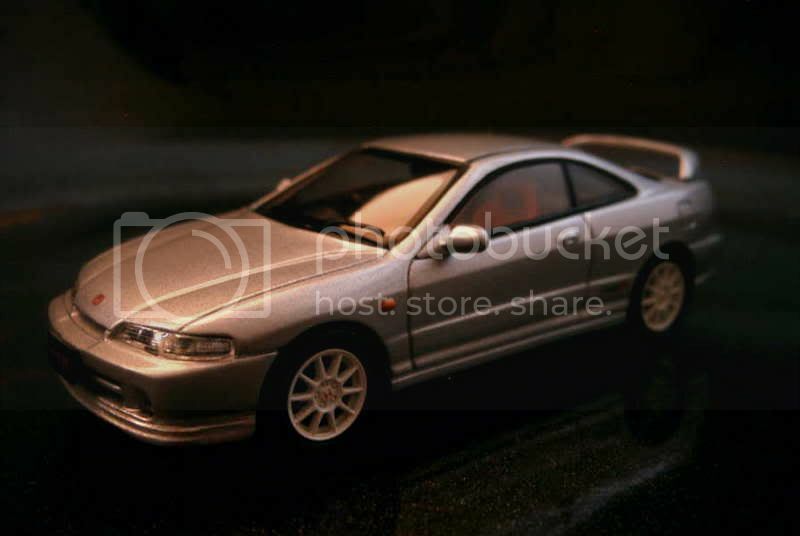 Ebbro obviously chose a Type R to represent an Integra. Its model its made in the usual quality the Japanese die-cast maker is known for, and deserve a 14/20. Thanks for another great read. Love the 1st photo, it looks very real. Well starting from 3-door hatchback to 5-door hatchback this model of Honda has make a unique place between Honda fans. I have been continuously observe this model since 1985 and it was increased its sales gradually. I like this model of Honda. Thank you very much for this valuable opinion from a Honda fan. I admit that, being a European, I am probably biased towards the Integra, while people from Japan and the US, the main markets for the car, must have a much more positive appreciation.